Fake Bake Original Self-Tan Lotion's easy glide formula and 'show where it goes' cosmetic colour guide enables you to apply your self-tan with ease and confidence. 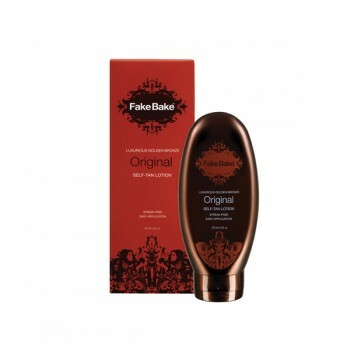 If you desire a darker tan, Fake Bake Original Self-Tan Lotion can be reapplied over consecutive days. Includes reusable gloves and step-by-step application advice.